The pharmacy board chief in Massachusetts, where tainted injectable steroids that have sickened 424 people in 19 states and caused 31 fatalities were produced, has been fired. James Coffey, director of the Massachusetts Board of Registration in Pharmacy, did not act on a complaint that the New England Compounding Center (NECC) was functioning like a drug manufacturer. Compounding pharmacies generally custom-mix drugs for a specific geographic area. NECC, based in Framingham, Mass., prepared the steroid, preservative-free methylprednisolone acetate, for nationwide distribution. Compounding pharmacies are not regulated like drug manufacturers. So it wasn’t until after the outbreak began that inspectors from the U.S. Food and Drug Administration (FDA) looked inside the facility where the product, that was often injected directly into patients’ spines, was made. They found a host of problems. 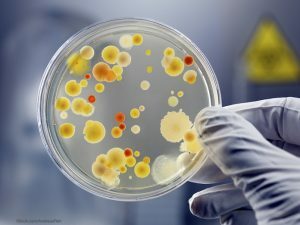 The fungus Exserohilum rostratum,that has sickened hundreds of outbreak victims was found in one of three lots associated with the outbreak, according to and FDA report. Mold and bacteria were also found in areas that are supposed to be sterile such as the “Clean Room”, the “Gown Room”, and the “Prep Room.” Autoclaves, machines used to sterilize medical equipment, at the facility were found to be tarnished and discolored and equipment used to weigh raw materials were found with green and yellow residue on them. Michigan has been hard hit by the outbreak. Seven people have died and a total of 119 people have been sickened Of those, 61 contracted fungal meningitis, 51 had epidural abscesses, which can develop into meningitis; and six had joint infections, according to the Michigan Department of Community Health. Because the fungus is unusual and concentrated at the injection sites, physicians are finding these infections a challenge to treat. The Center for Disease Control and Prevention (CDC) has established a web page with physician guidance.